London: Real Madrid have knocked Manchester United off the top of Deloitte’s Football Money League, but the Premier League still flexed its financial muscle, with all of England’s ‘Big Six’ featuring in the top 10 for the first time. 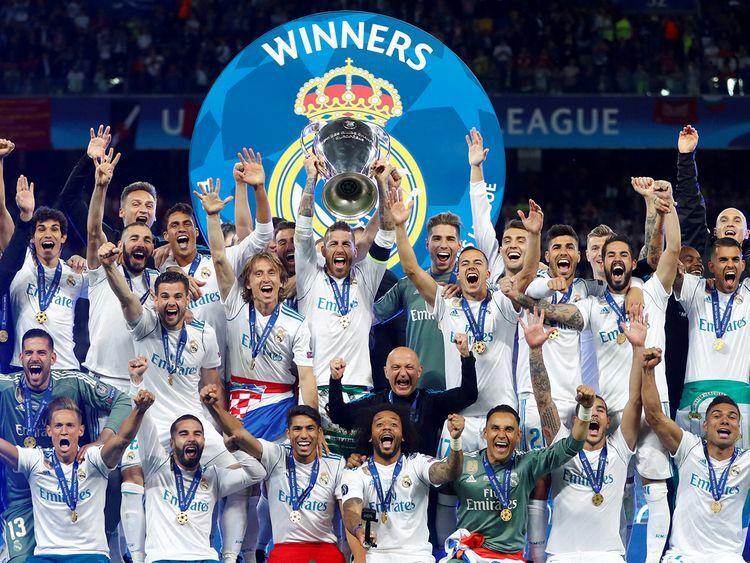 After winning a third consecutive Champions League title, Real generated a record £674.6 million (Dh3.2 billion), giving them the Money League top spot for the 12th time and the first since 2014-15. While revenues at Old Trafford grew by only two per cent, they still earned £590 million last season and the latest forecasts suggest they should surge past £615 million this season. Liverpool’s run to the Champions League saw their revenue increase by a massive £90.6 million, largely thanks to £222.6 million in broadcast earnings. While the extended stay at the national stadium is starting to annoy fans, the Wembley effect helped Tottenham increase their matchday revenues by £26.5 million. Arsenal saw their income fall by nearly £30 million and they dropped from sixth to ninth in the table, a slide that illustrates the importance of Champions League TV money to every big club’s bottom line. Taken together, the top 20 clubs, who all come from one of Europe’s ‘big five’ leagues, earned £7.4 billion, up six per cent on last year.